For more than 40 successful years, we have been providing our customers with industry-leading, high quality and innovative filtration products for a wide range of applications. DRM Filtration works with a wide variety of customers from large multi-nationals to small, specialist companies to develop new solutions to their existing filtration problems. 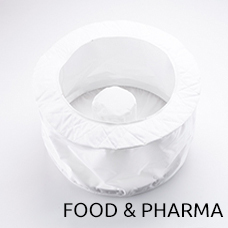 Our wet and dry filter products are used extensively in the food and drinks industry, by pharmaceutical and chemical companies, in mining, refining and papermaking – as well as in the environmental and waste water fields. 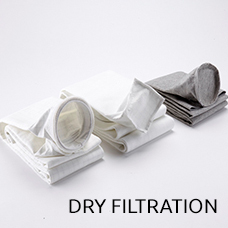 DRM Filtration are a leading filter bag manufacturer that also offers custom-made industrial filter bags as well as a full range of replacement filters that deliver both standard and non-standard requirements. Our filtration and technical fabric range is extensive, well-researched and tested, providing our customers with a selection of fabrics with different material, pore sizes and permeability to match their filtration needs. The experienced technical team at DRM Filtration works in partnership with you to establish your exact requirements and our highly skilled production team offers CAD drawing and cutting-edge laser technology. Customers have access to our full technical and design support even after the bag has been delivered to you. 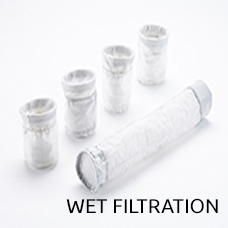 We are continually developing the very best in innovative filtration products. Attention to detail and commitment to quality are paramount to all DRM’s services, that is why we provide technical support even after the filter bag has been put into service to ensure that every product meets our high standards. DRM filtration products are manufactured to ISO 9001:2008 quality standards.